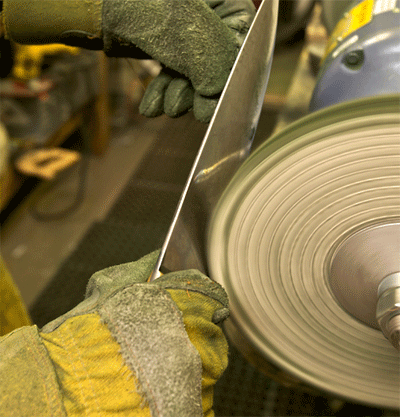 Jays Sharpening Service in Las Vegas, NV provides complete blade sharpening services. Sharpening your knives cuts Kitchen Costs by Consistent Tool and Knife Sharpening, Repair and Maintenance of Slicers, Food ProcessingEquipment, Blades, Can Openers, Dicers, Tomato Slicers, etc. Enhances Food Preparation Making a More Aesthetically Pleasing Presentation and decreasing food waste. When you come to Jay’s Sharpening Service in Las Vegas, NV, you’ll find complete blade sharpening services that you won’t find anywhere else. Our team of experts will provide the professional sharpening services you’ve been looking for, and make sure that each of your blades is more than ready. Our Mobile Service vans are fully equipped with professional quality equipment to handle your kitchens sharpening needs. We are capable of providing service to the largest resort properties without disrupting workflow with our convenient "On Site" professional knife & tool sharpening combining traditional methods with cutting edge technology. As an added service, we provide the dinner houses with steak knife sharpening. Our vans also carry a variety of the most commonly used knives and accessories. We reshape each knife bringing them back to original shape with minimal grinding on the blade and sharpen all food processing equipment in one service call. Our knife exchange program is very popular with restaurants because we furnish sharp knives to your kitchen on a weekly or biweekly rotation schedule. This guarantees the knives are always ready to use and consistently sharp - increasing productivity, performance and safety in the kitchen. We have all sizes and types of knives available for specific uses in the kitchen and offer colored handles to prevent cross contamination of foods. We supply the knives for your use at no cost and replace them when they become worn at no charge. 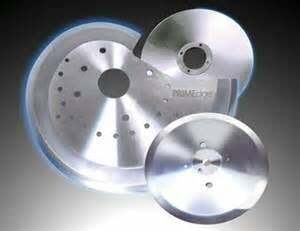 We can also supply buffalo chopper blades or grinder blades and plates. 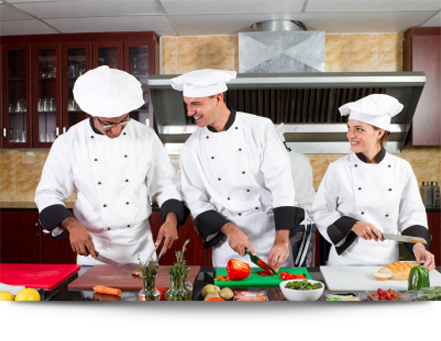 We provide resurfacing and replacement services including new cutting boards, custom and colored portables. This helps prevents issues with the health department by providing clean sanitary cutting surfaces. 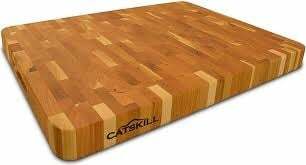 Resurfacing also increases the life of your cutting boards, keeping you from having to replace them sooner. All work Is 100% Guaranteed! Performed by some of the best repairmen in the business, our slicer repair services will get your slicer back into perfect working order. We will provide a replacement slicer so that your kitchen will keep running smoothly. Walk in customers are always welcome at our store. We sharpen knives, scissors, clipper blades, slicer machine blades, gardening and landscaping tools, as well as hair shears and surgical scissors.